Lose yourself in the beauty, all less than two hours from the city. Go bush camping less than two hours from the city, take a hike with spectacular coastal views and spot whales and Leafy Sea Dragons in the water. The Fleurieu Peninsula has a plentitude of natural beauty. Embraced by the coast, lakes & waterways and stunning interior ranges, the landscape and seascapes are what makes this area a natural wonderland. Deep Creek Conservation Park is a favourite with bushwalkers, nature lovers and campers. 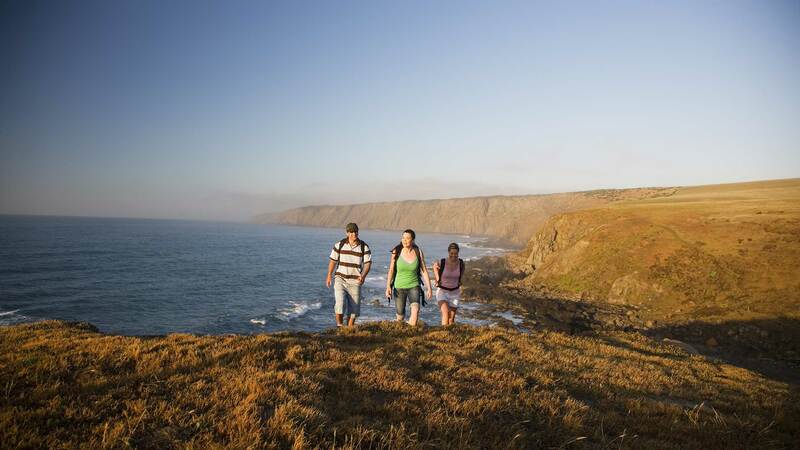 The valleys of dense bushland and rugged coastline offer an extensive network of walking trails and some of the best coastal views in the country. Deep Creek is the only national park within 100 kilometres of Adelaide that offers bush camping – and with accomodation and 2WD accessible campgrounds, it’s ideal for a family adventure. Keen hikers will want to tackle the Fleurieu Peninsula section of the famous Heysen Trail which runs for 1200 kilometres from Cape Jervis to the Flinders Ranges. The Fleurieu section introduces you to dramatic coastal cliffs, sandy beaches, lush dairy country, native forests and pine plantations. If you only have a few hours to spare, head for Deep Creek Conservation Park, which offers short walks from Tapanappa Campground to Boat Harbour Beach, and from the Tapanappa Lookout to Deep Creek Waterfall pass. The Fleurieu Peninsula is also host to The Kidman Trail, a 225 kilometre route which stretches from the coast inland to the Clare Valley. This trail is open to horse riders, cyclists and walkers and provides a sustainable, safe and scenic trail that highlights the natural beauty, cultural history and major points of interest along the Mount Lofty Ranges. Stretching from Port Noarlunga’s iconic reef at Onkaparinga River Recreation Park around to the Murray Mouth at Coorong National Park, Encounter Marine Park protects our iconic species such as the Leafy Sea Dragon and is home to some of Australia’s best dive sites in South Australia, such as Aldinga Reef. Take on surf breaks along Waitpinga Beach and Parsons Beach located in Newland Head Conservation Park, and watch whales from Granite Island Recreation Park or Basham Beach. 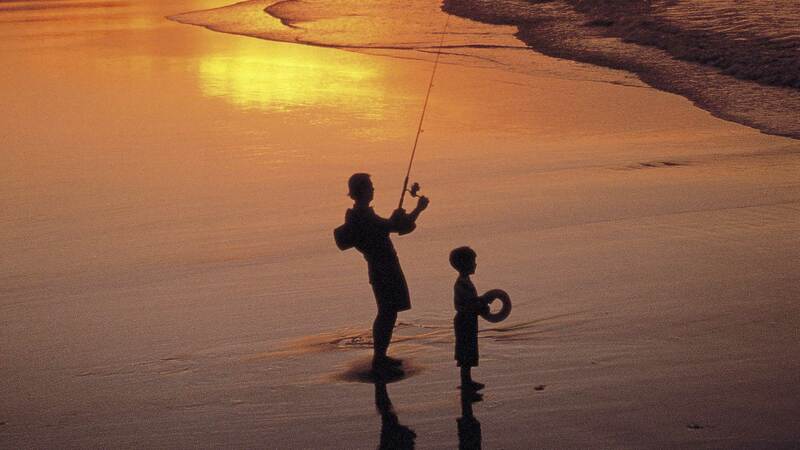 Fishing is very popular within Encounter Marine Park – try your luck at the Murray Mouth, Waitpinga Beach and off Wirrina. Remember, you can fish in marine parks, just not in the sanctuary zones. To find out where you can fish, visit Marine Parks SA. Follow Newland Head Conservation Park’s walking trails along rolling hills and rugged cliffs for panoramic views of Encounter Bay, The Pages in Backstairs Passage and Kangaroo Island. Cox Scrub Conservation Park is a haven for bushwalkers and birdwatchers located 70 kilometres south of Adelaide. The park’s open scrub and tall shrub land provides habitat for a range of birdlife, including honeyeaters and Yellow-tailed Black cockatoos. For a special treat, visit in spring when the park’s native wildflowers are in full bloom. Moana Sands Conservation Park, 35 kilometres from Adelaide, is a significant Aboriginal cultural heritage site. The park’s coastal dunes are important in the cultural traditions of the Kaurna people who made their summer camp in the sand hills by Pedler Creek. Many archaeological artefacts, including burial sites, hearths and shell middens - some dating back more than 6000 years - have been found where the overlying sand has blown away. Pay for entry and book camping and accommodation for Deep Creek Conservation Park at National Parks SA before entering the park. Agents in towns surrounding the park also sell entry and camping permits. There are a number of ways to explore, discover and experience the Fleurieu Peninsula. Whether you prefer the freedom of a self-drive tour, or a full escorted tour there are plenty of options. Fun for the whole family, Fleurieu Peninsula has Adventure Parks, Camel and Pony Rides, Cycling and Blading, Historic Cockle Train, Horse Drawn Tram, Narnu Farm, Penguin Tours, Playgrounds and more. The Fleurieu Peninsula is one of the state's most popular and accessible whale watching regions. With its picturesque coastline, it is the place to get up close to one of the world's most majestic mammals – the Southern Right Whale.